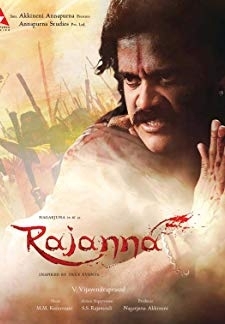 © 2018 Scratchu.com Rajanna | Nagarjuna Akkineni, Sneha, Shweta Menon, Nassar, Mukesh Rishi, Ajay, Pradeep Singh Rawat, Supreet, Ravi Kale, Annie, Sammeta Gandhi, Hema, Telangana Sakuntala, Edward Sonnenblick - Rajanna (2011) | Telugu Movie | 6.6/10 | Synopsis : In Nelakondapalli village, Adilabad district, Mallamma (Annie) is a girl who is a very talented singer. She is taken care of by an elderly man in her village. On one occasion, the elderly ... ... Watch Online!! !